Are you looking for a low ink trick that may help you save money? Of course you are because that’s the reason why you’re here. You’ll find complex printer low ink tricks on the internet but all of them will require you to get your hands dirty, literally. Our printer low ink tricks aren’t complicated manoeuvres or elaborate plans. Our printer low ink tricks are just about knowledge. If you know more about your printer, you’ll know how to deal with a situation and no one will be able to dupe you. So, what does a low ink warning from your printer mean? Should you listen to it? Should you change ink cartridges right after you get the warning? Inkjet Wholesale answers. The greatest printer low ink trick manufacturers ever pulled was to make the consumer believe that the ink cartridge is low on ink even when it wasn’t. So, the greatest printer low ink trick we can tell our consumers is to know what that dreaded low ink warning actually means. This isn’t easy to understand. There’s lots of information and misinformation on the internet regarding printer low ink warnings. Most information varies on the basis of the writer’s personal opinion. There are mainly two schools of thought when it comes to low ink warnings. The first says that printer manufacturers deliberately make sure that your printer gives a low ink warning even though your ink cartridge still contains ink. Proponents of this school of thought call it a printer low ink trick pulled by manufacturers to gain more profits. The second school of thought, however, differs in this assessment. Proponents of this school of thought are usually industry insiders and printing experts. These experts say that there’s need for printers to give low ink warnings before the ink cartridge runs out. According to these experts, if the ink cartridge is allowed to run out of ink, then it can actually end up damaging the printer. The logic is that, when there isn’t enough liquid inside the ink cartridge, the container starts heating up. When the container heats up, it ends up damaging the printer head, which is the most sensitive and important part of the printer anyways. Moreover, efficiency of the printer is also brought up by these experts at regular intervals. The idea is that because the modern day printer is at least three to four times more efficient, they can afford to waste some ink if it’ll protect the printer in the long term. Whether it is greed or a technical safety net, what’s certain is that every printer uses the printer low ink trick wherein the warning doesn’t directly mean that the ink cartridge is empty. In fact, at Inkjet Wholesale, we actually think that it’s a combination of both a technical safety net and greed that cause ink wastage. Now that you’ve understood the manufacturer’s printer low ink trick, you can use a little bit of your own printer low ink trick. It’s elementary really. All you need to do is continue using your printer even after the low ink warning, if you printer allows you to. Most printers will allow you to run your printer a few more times before completely shutting you out. So, the simplest thing to do is to ignore these low ink warnings and continue printing. Irrespective of whether manufacturers use these printer low ink tricks to safeguard your printer or line their pockets, having this knowledge is useful. What is also useful is for you to understand how the printer low ink warnings work. What technology is behind these low ink warnings? How does your printer decide when to start bothering you with these low ink warnings? What are the lowbrow printer low ink tricks that different manufacturers use? These are some questions that will give you a better understanding of how low ink warnings in printers work. Different Original Equipment Manufacturers (OEM) of printer ink cartridges use different technologies for this. 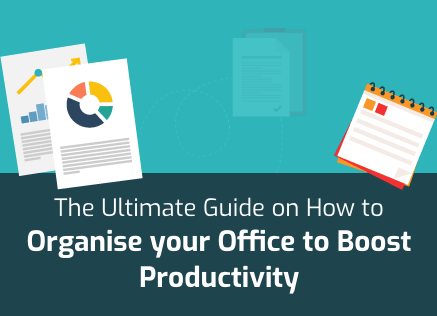 Most of these can be categorised into the following categories. Some OEMs use optics for implementing low ink warnings. In such cases, an optic sensor is used to shine a very low intensity light through a prism at the bottom of the ink cartridge. This light bounces back from the ink inside the ink cartridge and is received by the optics sensor. The nature of the light bouncing back varies on the basis of differing ink levels in the cartridge. 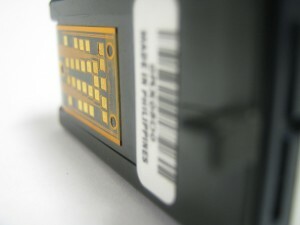 This optics sensor is programmed to send a message to your computer when the ink level drops to a predetermined point inside the ink cartridge. This technique can be seen in action in Canon printers. The vast majority of OEMs use electronic ships to implement low ink warnings. While different manufacturers have their own versions with unique modifications, the basic premise remains the same. What happens here is that ink cartridge contains an integrated circuit chip. This chip has a dual role in the big scheme of things. The first is that it keeps a track of how much ink is being used from the ink cartridge. Since it contains a record of the total amount of ink in the ink cartridge, it can send off a warning to your computer when a predetermined amount of ink has been consumed by the printer. The other purpose of this electronic chip is to make the OEM ink cartridges unique. This means that the electronic chip verifies that the ink cartridge being installed in the printer is original and not an imitation. These types of chips can be seen in Epson printers. Another way that OEMs use to implement low ink warnings is through ink cartridges that contain the printer had on them. These are particularly expensive ink cartridges because they come with printer heads. They also contain specialised electronic chips like the ones mentioned above. However, these electronic chips are specially unforgiving. These chips not only send a message to your computer that ink cartridge is running low on ink but also block off the printer from working until the ink cartridges are replaced. The biggest printer low ink trick is to know your options. There’re various things you can do to avoid wasting ink in the ink cartridges. More importantly, depending upon the ink cartridge you are using and the system it relies on to give you low ink warnings, the printer ink trick relevant to you will change. Here are some tricks. One method is to take out the ink cartridge and give it a vigorous shake before putting it back. The ink cartridges that come with inbuilt memories on electronic chips can be reset. All you need to do is use a paper clip to press the reset button in a small hole which should be near the electronic circuitry on the ink cartridge. If the reset button isn’t there, then you can always try covering the gold or copper contact points with a transparent scotch tape. If none of these techniques work then putting the ink cartridge in mildly warm water can help because the heat allows some ink to melt and gather at the bottom. At the end of the day, the best printer low ink trick is to buy generic ink cartridges. They’re cheaper and if you can ensure that they work then efficient too. 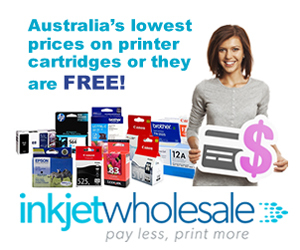 At inkjet wholesale, we take pride in our generic ink cartridges because they work and are extremely cheap!